This week, we continue the series on our journey through all 9 steps of The Pronto Path. Step 7 is called Multiplication: train and mentor more.. This week, we continue the series on our journey through all 9 steps of The Pronto Path. Step 6 is called Stabilization: develop at least more.. This week, we continue the series on our journey through all 9 steps of The Pronto Path. Step 5 is called Acceleration: earning a profit more.. This week, we continue the series on our journey through all 9 steps of The Pronto Path. Step 4 is called Elevation, where we will more..
How do you get your first 50 clients? This week, we continue the series on our journey through all 9 steps of The Pronto Path. more.. This week, we continue the series on our journey through all 9 steps of The Pronto Path. Step 2 is called Activation, where we build, more..
Every journey starts with the first step, and that step in the tax preparation business is becoming credentialed. In this episode, we walk you through more.. The show for independent tax professionals is here. 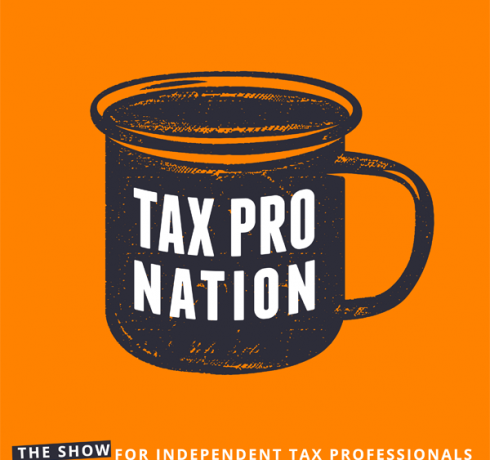 Hosted by Jeff Dolan and Andy Frye, Tax Pro Nation’s Introductory episode sets the stage for what more..